After 39 years, photographing over 250,000 pieces of art, working for more than 5500 artist, galleries, collectors and museums, it is with mixed feelings that I announce that I, D. James Dee, The Soho Photographer am at last retiring. I have enjoyed the years working with and meeting everyone. Alright maybe one or two weren’t so enjoyable, but then that isn’t so bad. I have always thought that, given I wasn’t born rich and had to work for a living; this was not a “bad” way to make a living. It was actually a very good way to make a living. I will miss the great conversations about art, family and politics we had as we were working together. I will miss the landscapes and smells of the studios of New York. Our future has us moving to Miami, finding a house to renovate to our taste and building a studio and darkroom where I can pursue my personal photography interests. D. James Dee opened The Soho Photographer Inc. in 1974 to provide the highest quality photography of fine art at affordable rates. He has built enduring and expanding relationships with artists based on his professional expertise and commitment to client satisfaction. 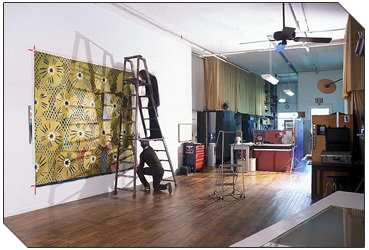 The SoHo Photographer was the largest studio in New York City exclusively dedicated to photographing artwork, accomodating any flat art up to approximately 12' x 20' and sculptures of any size. The SoHo Photographer served artists, galleries, collectors, museums, jewelry makers, textile designers, as well as local and international art world clients. To see a selection of our clients, click here.